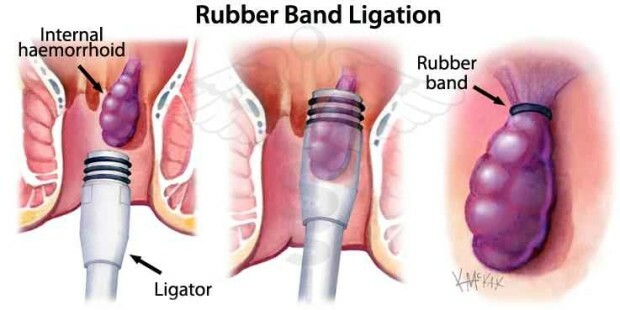 The main principle of a rubber band ligation is to stop the blood flow to the hemorrhoidal tissue by surrounding the base of the hemorrhoid with a tight rubber band. The hemorrhoid cut off by the rubber band dies and is replaced by an ulcer that will heal with scared tissue. This method of treatment can be used for first to third degree hemorrhoids and might have a higher success ratio than scleroscopy. Symptoms of Hemorrhoids may reappear after month or years, very much depending if you continue a lifestyle beneficial to the development of hemorrhoids. 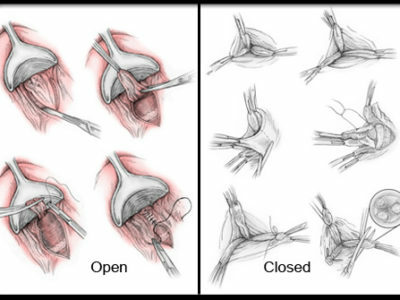 Rubber band ligation can be conducted as a day surgical procedure and is likely a small non invasive intervention. The main complaint after the setting of the rubber bands is pain. 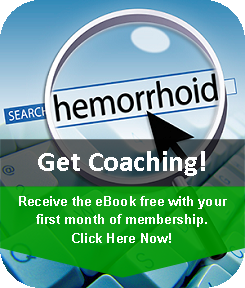 It might take several days to weeks until the ligated hemorrhoid tissue falls off. Bleeding may occur one to two weeks after the surgery or bacterial infection in the tissue surrounding the hemorrhoids may cause further implications. Ligation with a rubber band is one of the most commonly applied methods to remove prolapsed or thrombosed hemorrhoid tissue, the recovery time is likely short and the procedure can be repeated as symptoms reappear. 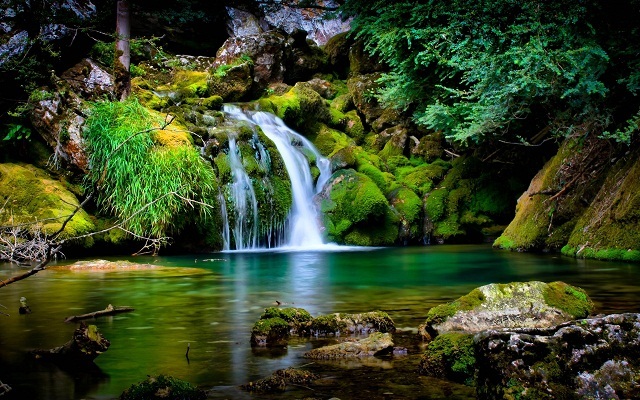 While you may be tempted to have your doctor do the procedure with the hope of fast removal and healing. Also here is no guarantee of a complete cure. As mentioned in other posts, the best approach to avoid future episodes of hemorrhoids is the integration of some simple steps into your everyday lifestyle. No major or complicated changes are necessary, except for staying consistent. 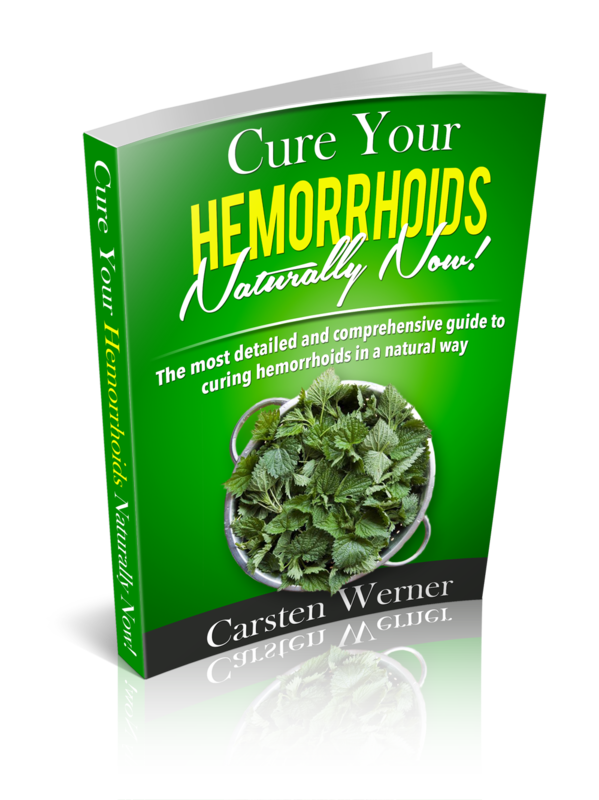 You can cure your hemorrhoids completely naturally, as described on this website and in detail in the eBook. Rubber band ligation or any of the more severe surgical invasions becomes completely preventable with using natural remedies to heal your condition and adjusting to an improved every day routine.